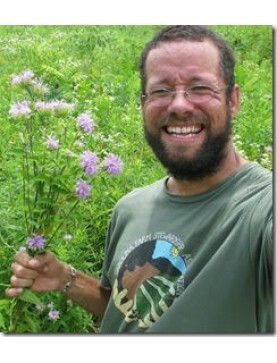 An ethnobotanist, Marc Williams has taught hundreds of people about the marvelous world of plants, people and their interface, while working with over 50 organizations and online at the website www.botanyeveryday.com. He is dedicated to improving our current global ecological crisis. His training includes a B.A. in Environmental Studies/Sustainable Agriculture and an M.A. in Appalachian Studies/Sustainable Development. Speaker: Marc Williams. This class describes plant family patterns and their applications..
Speaker: Marc Williams. Continued from Part 1. Learn how to incorporate our fungal allies into tasty..
Speaker: Marc Williams. Learn how to incorporate our fungal allies into tasty therapeutic prepa..
Speaker: Marc Williams. Continued from Part 1, Marc leads us on a culinary adventure featuring prime..
Speaker: Marc Williams. Marc leads us on a culinary adventure featuring prime examples of how wild f..
Plant Families: What Family is That? Speaker: Marc Williams. Delve into the major plant families of the US with ethnobiologist Marc Willi..
Speaker: Marc Williams. Learn how to identify trees and shrubs by the leaves, bark, flowers, fr..